Based on the successful Insect Survey of a Megadiverse Country, Phase II: Colombia, Dr. Michael Sharkey and Dr. Brian Brown began a Thailand biodiversity inventory in 2006. 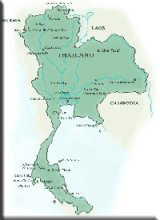 Thailand has a diversity of habitat types, including tropical rain forest, dry or semi-evergreen forest, montane evergreen forest, coniferous forest, swamp forest (including mangroves), deciduous forest, and savanna. Collections occurred in 25 National Parks in Thailand over a three year period. With the project currently in its final stages, we are continuing to add species identifications to the TIGER database and publications to our ever exanding list (all posted on the TIGER website). 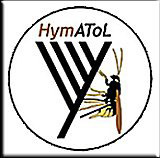 HymAToL is a large collaborative project funded by the National Science Foundation under the “Assembling the Tree Of Life” initiative, which aims to reconstruct the evolutionary history of all organisms. Our goal is to construct a large-scale phylogenetic analysis of the Hymenoptera, an insect order that encompasses approximately 10% of the species diversity of life. Approximately 115,000 species have already been described and estimates for the total number of species range up to 2.5 million. Solving the taxonomic problems within the Hymenoptera will aide researchers in many biological fields, as Members of the Hymenoptera have an enormous impact on ecosystem function and our everyday lives. 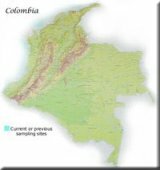 The Colombia Biodiversity Project (spanning 2002-2005) was a collaborative arrangement among the Humboldt Institute in Villa de Leyva, Colombia, the University of Kentucky, and the Natural History Museum of Los Angeles County. The goal of the project was to survey arthropod diversity in a wide range of habitats in Colombia. Colombia is one of the most species-rich countries in the world, but also one of the least known for arthropods. As expected, a wealth of spectacular new taxa was discovered. Specimens are being used to estimate the total number of species in various habitats, for a range of taxa, and to build reference collections in the Humboldt Institute and cooperating institutions elsewhere. 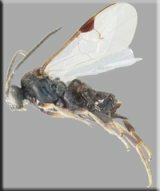 The braconid genus Cotesia (Microgasterinae) contains a number of species used throughout the world in the biological control of pest caterpillars, as well as many non-manipulated, but important, species acting in their native settings to help regulate populations of important pests. Members of this genus generally attack large caterpillars, most commonly in temperate regions of the world. The web page contains an interactive key, synonym finder, host record finder, and description and diagnoses for the economically important species of Cotesia worldwide. Habitus images link to the individual species page in which images of the cocoon, forewing, hindleg, lateral metasoma, dorsal mesosoma, propodeum, and the first three metasomal terga can be found. These diagnostic images may be compared with images from all of the other Cotesia species by clicking on the pertinent body region. The Cotesia project is a collaborative project between Dr. Michael Sharkey at the University of Kentucky and Dr. James Whitfield at the University of Illinois and has been funded by the National Research Initiative of the USDA Cooperative State Research, Education and Extension Service. Click on the following links to download source files: Agathidinae Genera of the Orient. Braconidae name index provides an alphabetised list of 23,927 scientific names published to the present. The list was originally compiled from Taxapad Ichneumonoidea database updated to 2007. Currently, information on the original name, reference to the original description, the unique taxon identifier, and distribution are provided for each taxon. 3) Sharkey, M.J. and A. Roy. 2002. Phylogeny of the Hymenoptera: a reanalysis of the Ronquist et al. 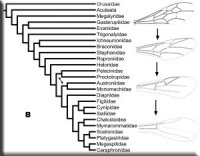 (1999) reanalysis, with an emphasis on wing venation and apocritan relationships. Zoologica Scripta 31:57-66. * - Before 4/19/02, these files contained an extra wing character not used in the analysis. This error has been corrected. Maintained by: Hymenoptera Institute, Last updated: January, 2011. Please email any questions, bugs, or suggestions.